Building a solid SharePoint migration plan is an important step that will save you both time and money. When building your plan, you should make sure to account for any customizations in your current SharePoint environment. While a customization may work perfectly in your current version of SharePoint, it may not in the newer version. Preparing and executing a SharePoint migration plan that is specific to your set of customizations will ensure that you have a smooth transition to your new environment and a higher user adoption rate. The first step of creating a migration plan is cataloguing your customizations. Identifying current customizations may seem simple, but there is no guarantee that former staff members, or contractors, passed along all customizations to current staff members. Customizations can be anything from custom integrations to customizing the site with HTML, Java code or CSS for a more professional site design. You can find out which customizations you currently have in your SharePoint environment by running a pre-upgrade check or using Microsoft PowerShell. Through thorough cataloguing, you can ensure that all customizations are accounted for and prevent possible problems in the new environment. Need It or Trash It? The next step is determining which customizations to move to the new platform and which ones you want to remove. In order to do this you must understand the intent and use of each customization. 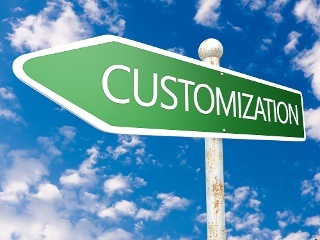 Does the customization serve a business purpose? Is it used by a large percentage of staff members? Is it well-designed or does it introduce a risk into your environment? These questions will help you clean your environment and only move over the customizations that you need. Since it may be necessary to test, recompile and redeploy customizations in your new SharePoint environment, it’s a good idea to develop a test site where you can test each migration before go live. This helps you see how each customization behaves in the new environment. It also gives you the opportunity to fix any bugs that might cause problems and reduce productivity before actually deploying the customizations in the new SharePoint infrastructure.